Last time I asked if you could write a symbol equation for the reaction between ammonia and hydrogen chloride gases. I also asked why fluorescent inks in highlighter pens glow. 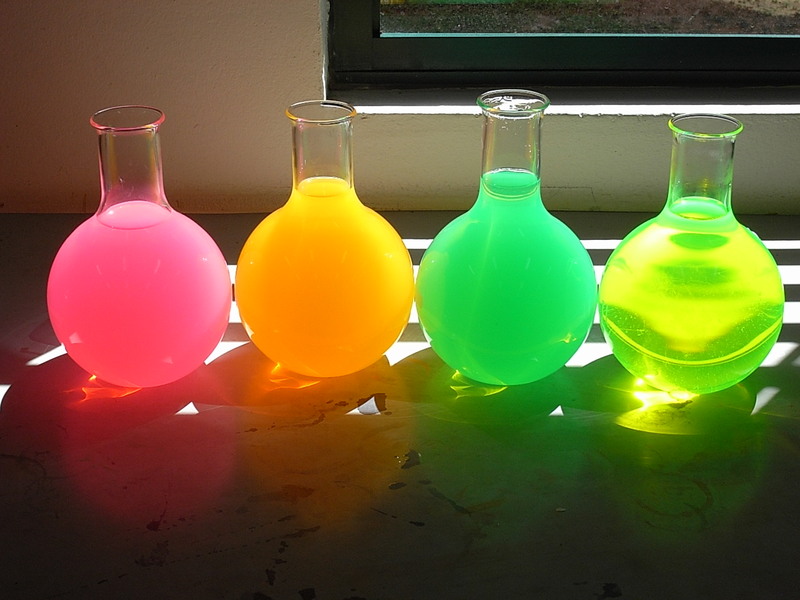 The answer is that certain molecules within the ink absorb energy of one wavelengths (e.g. u.v.) and emit it at a longer wavelength, as visible light. Here are the inks extracted for the Halloween display in bright sunlight. 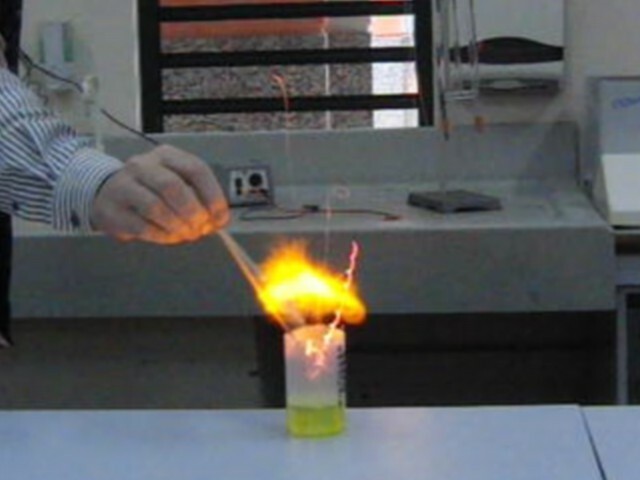 Finally, I also talked about a mixture of hydrogen and oxygen gases being unlikely to react until a spark or flame is introduced to the mixture. The spark or flame provides the necessary activation energy needed to get the reaction started between a few molecules, and then the two gases react explosively. “Pop!” Testing hydrogen gas with a lighted splint. 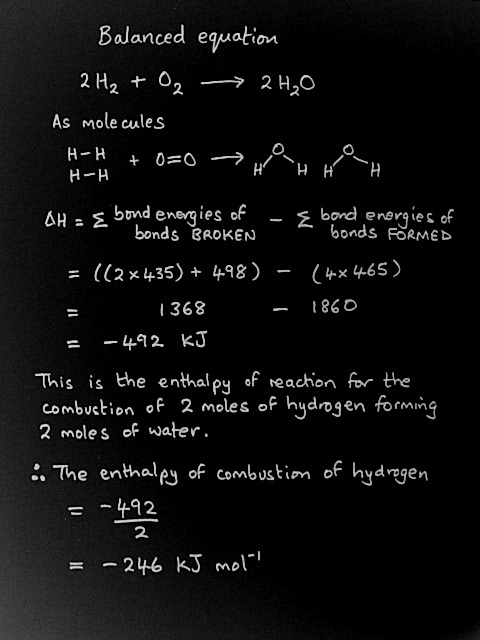 A value for the energy released (the enthalpy of reaction), can be calculated by using bond energies. The bond energy calculation above uses the values listed in my September 29th blog. However, this value is unlikely to be as accurate as the value obtained from direct calorimetry experiments. Of course, it is possible for a mixture of hydrogen and oxygen gases to react spontaneously on its own, without a flame being supplied. It could happen if molecules of hydrogen and oxygen collided with enough energy (the activation energy) by chance. It is just rather unlikely at room temperature. What is a B/Z reaction? And what does it show?